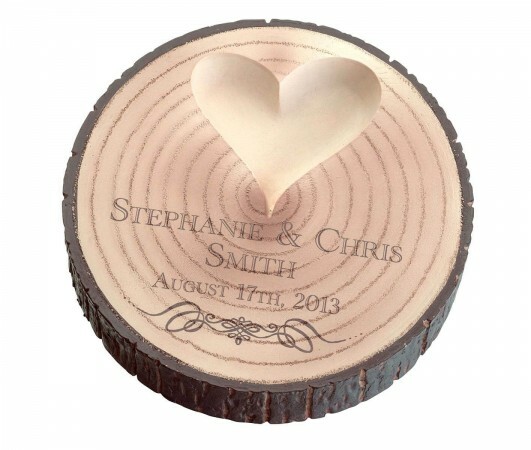 A tree trunk ring holder adds elements of natural charm to the wedding ceremony. This fun alternative to a traditional ring pillow measures 5.25" in diameter and 1.25" deep. Heart hole is 2.5" wide at its widest point and .5" deep for placement of the rings. It is made of resin.